If you choose to use Empire, you will receive an industry leading level of work. At Empire, we endeavour to give you quick and efficient service. All our locksmiths are also trained security consultatnts, who are willing and able to offer you solutions for your personal security, including alarm & motion detection systems, controlled access systems, and options from a range of premium quality security cameras. 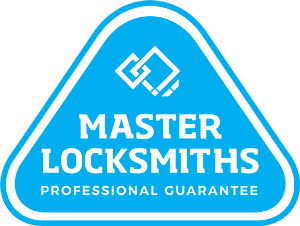 As your leading locksmiths in Ryde, Empire Locksmiths and Security is innovative in the locksmith industry and has built a reputation for quality service at a competitive price. We know some companies out there are into band aid solutions and quick fixes, but at Empire, we offer fixed prices with a 1 year guarantee. Empire Locksmiths in Ryde have worked for years in the area and have performed high quality work all over Ryde – from unlocking apartments, setting up security systems for houses, and we have even done work on big universities and commercial properties. We perform our work professsionally and with due care on any scale jobs, and our fully qualified engineers are trained to provide solutions to any security issue you have, be it a lock, an alarm, a camera, or anything else! Often it is a very stressful time sorting out your household security. That is why we make sure our staff are understanding and patient but also offer a reliable, efficient and trustworthy service. With one call we can come out to your home and fix and re-configure all the locks in your house. One of our Empire security specialists will offer advice on how we can make your home more secure to best safeguard your house from future break-ins. They assess your street, home and possible entry points to ensure you have all the bases covered. We can assist with deadlocks, privacy locks, sliding door locks, gate locking hardware, re-keying, keyless entry, intercom and alarm systems. Empire have experience with all the major brands of specialised locks and security systems, including Samsung, Honeywell, Bosch and this means we can arrange something to suit your needs and budget. As specialists in commercial security, at Empire we can fit out your office or business premises with all of the most modern and innovative security devices. We have a range of CCTV security cameras to choose from so that you can check on your premises live from your mobile phone or via the internet. We also provide security keys that cannot be cut as well as fire rated locks and hardware. If you want security and peace of mind, simply call us, a leading locksmith in Ryde on 1300 858 828 and one of our security specialists can discuss the best solution for you. Need a Locksmith in Ryde fast?